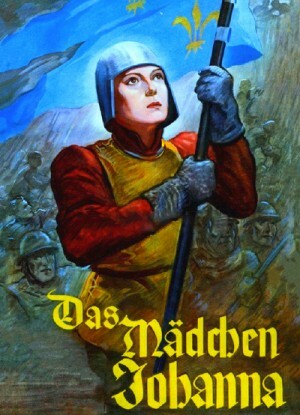 The story of Joan of Arc has been filmed so often that it need not be repeated here. This 1935 version a very effective film which focuses much more on the intrigues of the men around Joan than on the girl herself, who gets surprisingly little screentime. Heinrich George's Duke of Burgundy is almost a buffo character in his arrogance and lecherousness. And Jeanne in her naivity admires the king and doesn't see through his Machiavellian schemes which in the end lead to her death. "Das Madchen Johanna" was intended at least partly as a Third Reich propaganda film which shows both the French and the English as morally corrupt and conversely at least implicitly turns the Maid into a national 'leader' figure, German style.